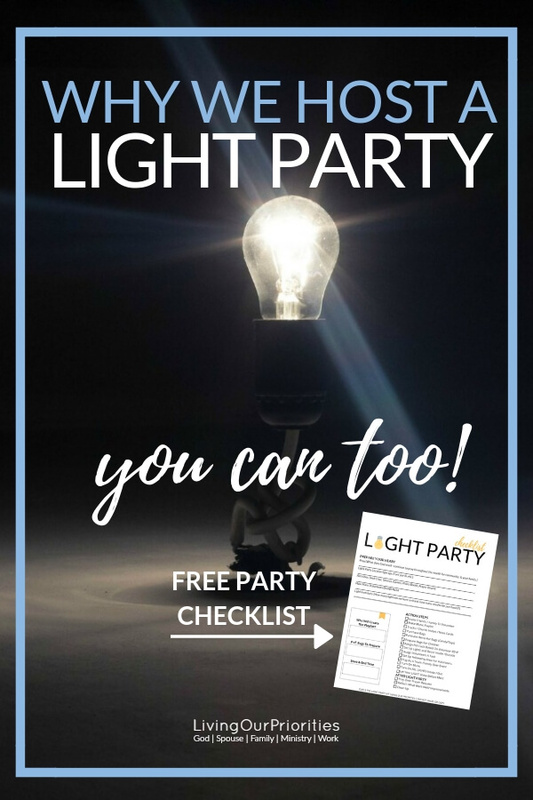 Why We Host A Light Party And How You Can Too! What is a Light Party? That’s what we’re asked every year when we invite others to join us on October 31st for our Light Party. Yes. You see, we take that day as an opportunity to BE the light on the darkest day of the year. And before I share HOW you can host a light party, it’s important that I explain WHY we do it. Halloween’s roots began 2,000 years ago from the Celts of Europe, who celebrated a pagan festival called Samhain (pronounced “sow-in”). This was a celebration honoring the dead-that involved offering a sacrifice of crops and animals. During the Samhain festival they worshipped the goddess Pomona (goddess of fruits). This is where the tradition of bobbing for apples came from. They celebrated death and renewal of all things in life and nature. They believed it was a night of supernatural encounters; where there was a fine line between the natural and supernatural world. The festival had a religious significance, using bonfire to burn sacrifices of fruits, vegetables, grains and even animals as an offering to the gods. They wore costumes to disguise themselves as a Spirit to commune with them. The children and the poor went door to door begging for bread, cakes, nuts and fruits to prepare for winter, in exchange for prayers for their dead. Treats were left outside the door for the spirits. As they believed if you didn’t have a treat, the spirit would cast a spell (trick) on you, your family or property. Hence the term trick or treat! Many cultures have some sort of Day of the Dead: Mexican Day of the Dead; Bolivia has Day of the Skulls; Chinese Ghost Festival. It’s believed that when foreigners came to America, they brought their pagan customs with them. When the Romans conquered the Celts around 43 AD, both Roman and Celtic festivals were combined. Since the Roman Catholic Church (the Christians) wanted an alternative to the pagan celebration, around 600-800 AD Pope Boniface IV created All Saints Day. This was a day to honor the dead Christian saints and martyrs. Later on, Pope Gregory III moved all Saints Day to Nov. 1st. This is where the name, Halloween originated. Nov. 1st was the day of All Saints’ Day celebration and the night before Oct 31, was called: “All Hallow Evening” (hallow means honor as holy). Not too long after that, the Roman Catholic Church instituted All Soul Day on Nov. 2nd. A day dedicated to prayer for family and friends who had died. Sounds good – but the truth is, they mixed pagan practices with their holy beliefs. The Bible not only tells us not to do that. Why is it, that different cultures from around the world have a day of celebrating death or the killing of an animal with a burnt offering or sacrifice? Is it because it’s in their nature to do that? Throughout scripture we see examples of sacrifices offered unto the Lord. Before Christ, it was customary for the Jews to follow customs, one being The Jewish Holiday known as Yom Kippur (The Day of Atonement). However, it had a different purpose than those who honored the dead. Adam and Eve wore dead animal skins for clothing after they sinned. The difference between these sacrifices and the pagan sacrifices, is that these sacrifices were ordained by God, for God and only God! Presenting burnt offerings of sacrifice was not Satan’s idea but God’s. The devil infiltrated the hearts and minds of people, to use them for his purposes as if he is worthy of honor. So much so, the Roman Catholic Church saw it fit to combine pagan activities with their own Christian practices. However, a minority group of Christians referred to as the Protestant Christians, began to celebrate Reformation Day on Oct.31st, in honor of Martin Luther (a German monk) who spearheaded the reformation of the 1500’s. Reformation Day was a protestant religious holiday. Not an alternative but a REPLACEMENT of the pagan festivals and All Saints Day; with the TRUTH of God’s Word. Martin Luther nailed his 95 thesis to the Wittenberg church in 1517. His thesis challenged the Roman Catholic Church and scholars to go back to the gospel of salvation, understanding that by grace through faith alone, we are saved. 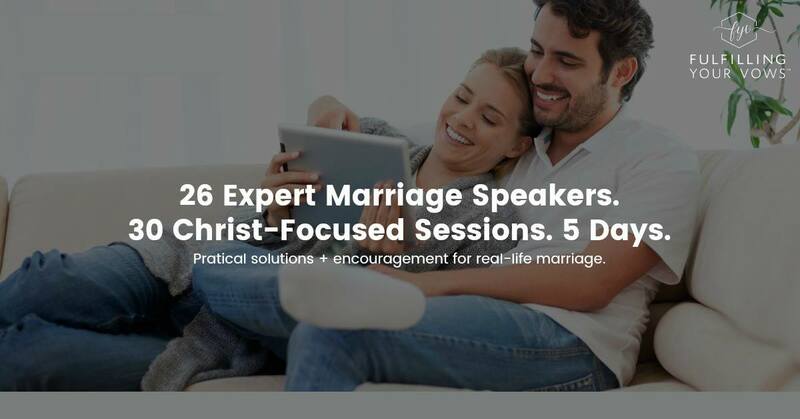 Not by the biblical religious practices or work-based practices of the Roman-Catholic Church. But because of Christ, we no longer need to offer burnt sacrifices. What a reflection of Romans 14:23 that one must live by their own conviction! Luther broke away from the Roman Catholic Church, forming the revolution movement of the Christian Protestant Reformation, which led the spark of the free-church movement. This was the catalyst for Luther to translate the Bible in German, so the common man and woman could read the Bible for themselves. Some Christians say Halloween is the devil’s day. However, God’s Word will not contradict itself! The last time I read the Bible, the devil didn’t own the day. God made EVERY DAY! If this is the day the Lord has made, is God not God on Oct. 31st? How then, are we as believers to respond? Halloween traditions we know today, come from pagan festivals. And according to scripture, we’re NOT to participate in those kind of activities. Therefore, we must read God’s Word to find out how we are to; respond, participate, or approach Halloween. Psalms 24 tells us that EVERYTHING belongs to God. That means, the day belongs to God, and we belong to God. Therefore, to know how God expects us to respond to one day in particular (October 31st), we must know what God expects of us EVERYDAY; on His earth, as His people! When there’s an awareness of who we are in Christ (God’s chosen people) we will live differently; making it easy to distinguish who we are. EVERYDAY, God expects us to stand out and be different, not odd. On Halloween, He expects us to be different too! I got news for you, hiding makes us odd. Although we do not hide, we must be cautious not to mix unholy things with holy things. Meaning, we don’t; worship the dead, participate in evil, wicked things, seek fortune tellers, or psychics, etc. You want to honor the dead? Have communion and remember the sacrifice Jesus Christ made for your eternal salvation, saving you from Hell. How can we be the LIGHT if we are hiding in our homes; with the lights out, not answering the door? We are TO BE the light, not hiding in the dark. 14-16 “Here’s another way to put it: You’re here to be light, bringing out the God-colors in the world. God is not a secret to be kept. We’re going public with this, as public as a city on a hill. If I make you light-bearers, you don’t think I’m going to hide you under a bucket, do you? I’m putting you on a light stand. If we are God’s chosen people, a light on a hill, then we have TO GO into the dark places to SHINE. We don’t go to the dark and act like the dark. When we do that, we burn out our candle. And people can’t tell who is holy from unholy. The apostles didn’t mix unholy things with holy things, but they were informed. God does not want us praying for the dead. He wants us to win souls to Christ! October 31st is the best day to evangelize because you don’t have to go to the people. The people are coming to you! 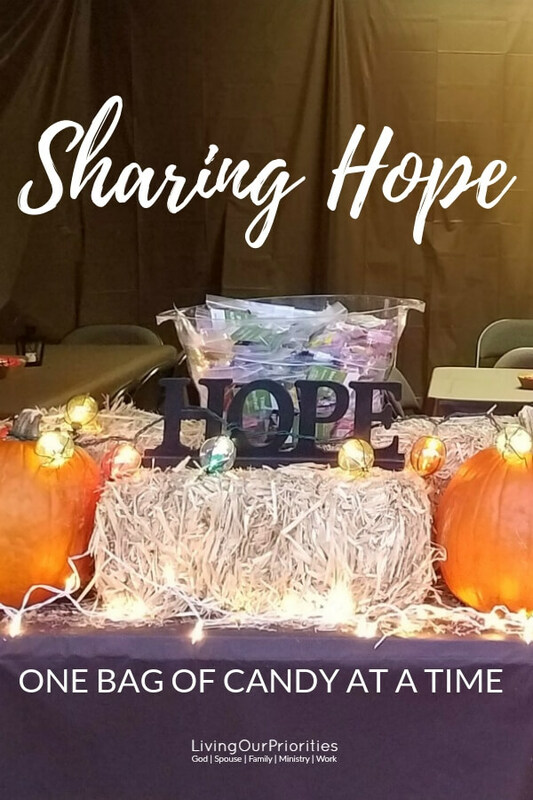 When we hide out on Halloween, we miss the opportunity to reap a Harvest for Christ. When we engage with the sole purpose of BEING THE LIGHT, we stand out differently, as a laborer seeking to reap a harvest. People need hope. People need our Jesus. We know there will be parents walking around; hopeless, depressed, in need of healing, or having financial challenges. Can you imagine that parent walking around with their children, feeling hopeless? But they come upon a house with people willing to pray for them? The children in your neighborhood are not coming to you with malice, they just want some free candy. So give them some and sow a seed. Beat the devil at his own game. Soul winning doesn’t happen when we’re doing what people are doing. We have to be able to discern in the Spirit. Go after the people. BUT DON’T BE THE PEOPLE! God’s last but most important expectation for us is for us to pray. These pagan activities on Halloween are real. Satan has affected the hearts and minds of people to practice unholy things. On Halloween there is a heightened degree of demonic spirits, so we MUST fight this battle in the Spirit. We must put on the full armor of God (Ephesians 6:11-18) and spend time in prayer, the days leading up to and on Halloween. Pray over the earth, rebuking demonic things that take place. Pray for protection of; God’s people, our homes, family, friends, the neighborhood, churches, and first responders (those who answer the call to night vandalism, murders, accidents, etc.). Most importantly be on guard. 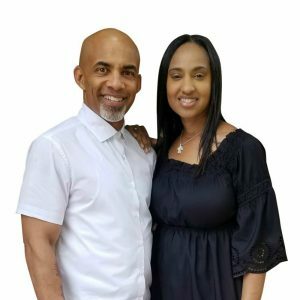 Don’t think you’re going into the dark to reap a harvest for Christ, and the devil isn’t going to try to come against you for wreaking havoc on his parade. How can we respond on Halloween as the light? Well it’s not by putting a sign out that says; “no candy here Jesus is your treat.” Oh my, can any of you relate? My mama did this when I was a kid, and she already knows how I feel about that. I tell her all the time; mama you did the best you knew to do at the time. But now that I have come to know God for myself, and understand how much God loved this world so much, my conviction TO BE the light hit me to my core. I’m not talking about participating like the world. What I’m talking about is creating an environment to worship God, and being the light, influencing the world with God’s love. I’m talking about hosting a LIGHT PARTY! While my conviction grew about being the Light, I asked God to show me what our family could do instead of turning off our lights and ignoring the door. How many of you know, when you seek God for wisdom He will give it to you? God placed on our heart’s to host what we call a Light Party. While this may look different for every family the concept is the same. And I would say, I’m not afraid to open the door. We plead the blood of Jesus over our house, our family, and take an opportunity to bless the kids. The Bible tells us that a gift makes a way. So we were determined to make our gift different. Our gift would shine God’s light and point people to Christ. 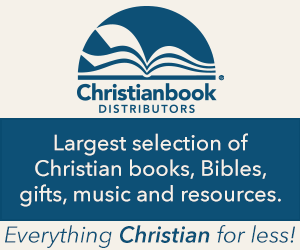 We don’t just give them candy, we include a tract, a church invite card, or even written notes that says God loves you. The first year we did this, it was just our family. We had all the lights on in the house, played Gospel jams, and handed out candy with hand written notes. The following year, we invited friends and family, made it a party in our garage, and hung white lights outside our house. We did this with the intent of being the brightest house on the block; not the darkest and scariest! We heard over and over: “you guys must be believers.” Why would they say that? Because we stood out different. We stood out as the light! Families congregated in our driveway because it was refreshing from the spookiness happening around them. 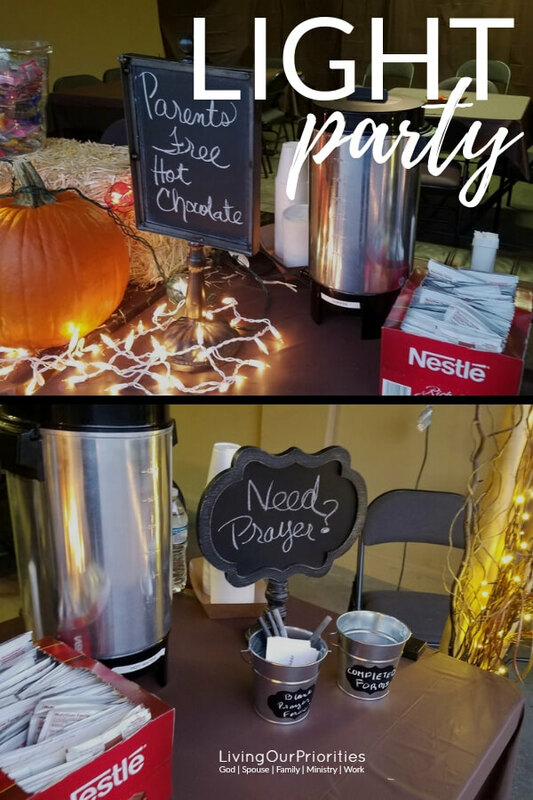 Last year, we stepped it up a notch by offering hot chocolate to the parents right next to a chalkboard sign that said need prayer? You see, when we acknowledge THIS IS THE DAY THAT THE LORD HAS MADE AND CHOOSE TO REJOICE IN IT, we steal any power Satan thinks he has on that day. 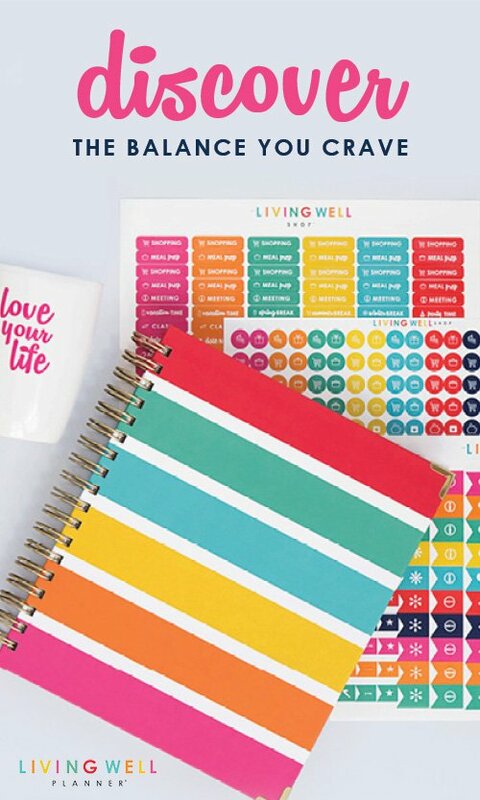 If you’re creative juices are flowing and you’re thinking about hosting a light party, we want to help you be successful. 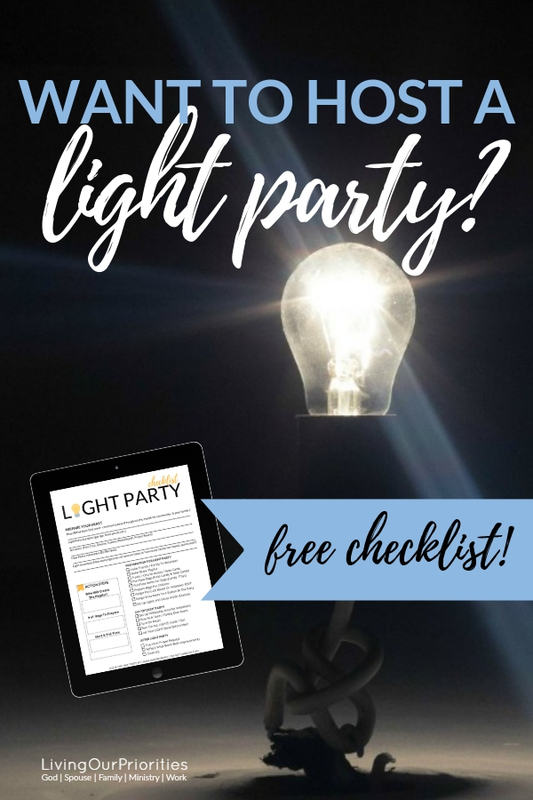 Use our Light Party Checklist by filling out the form below! But before you do I have a word of caution. If you’re feeling convicted to host a Light Party this year, as exciting as it is, (and believe it is) I want to encourage you to be mindful not to judge others in their conviction about Halloween. Remember Martin Luther stood by his conviction of what Christ placed on His heart. 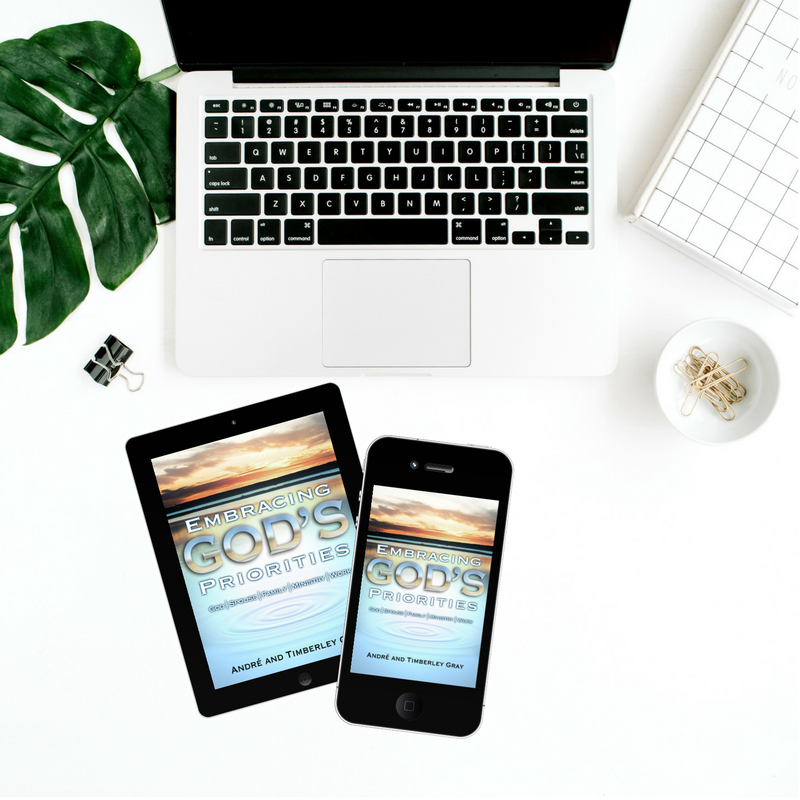 Likewise, each of us has to do what God convicts us to do. How you choose to be the Light is up to you. However, we are not to judge those who do it differently. If you feel compelled to turn out your lights and pray all night, go ahead. But don’t judge those who look for opportunities to be the light. If you choose to go out to the people and be the light, don’t judge those who choose to stay home and pray. Seek God for wisdom, on how you can be the light, making it unique to you and your family; not mixing unholy with holy things. Ask God how He can use you to point others to Christ, then do it. And let your light shine before men. PS…Want to host a Light Party? 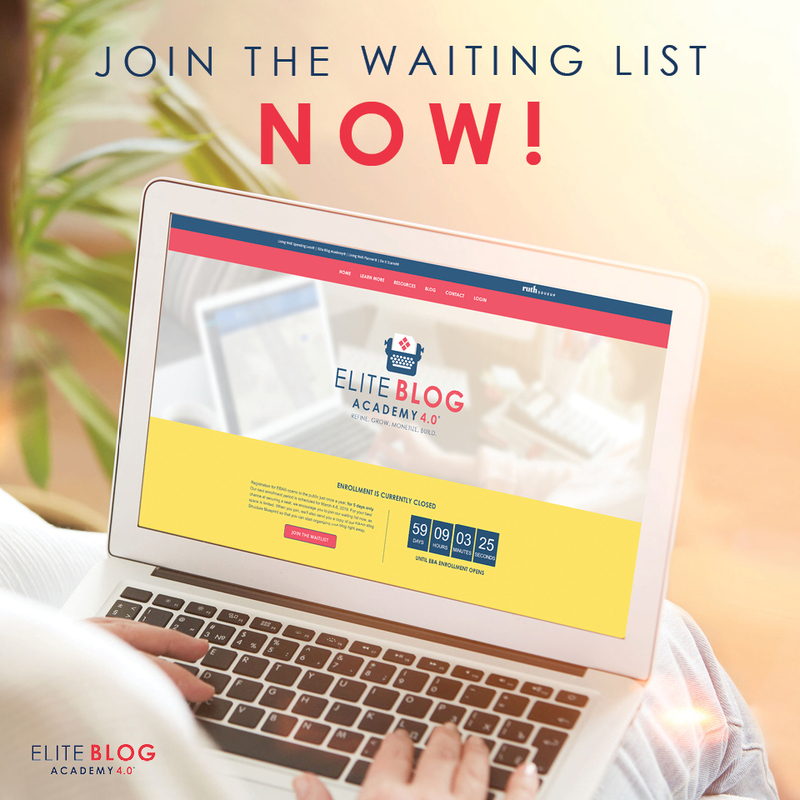 Download The Light Kit Checklist today by filling out the form below! 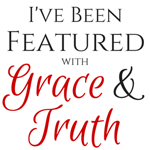 This post is being shared on Grace & Truth A Weekly Christian Link Up & Salt & Light Link Up! Such a thorough post! Thank you for giving the background and history…I love your creativity! I LOVE LOVE LOVE this idea. And I’m not surprised at all that you’ve taken something so simple and turned it into an expression of love for your neighbors and Jesus. Thank you for encouraging and challenging others to seek God as to what to do for Halloween. Jesus welcomes all people at any given day. Our world is hurting and it’s up to us Christ followers to represent Jesus. A great example of stepping up and doing something to change the world instead of complaining about things the way things are! Thanks for the inspiration. Love the history behind this post! Let your light shine!!! LOVED this post! It is so informative and practical! Thank you for addressing a controversial topic so thoroughly!